Sayon is based in Woodstock, Vermont, but is willing to travel anywhere to share his cultural knowledge with others of any age! I teach up through college age on trombone and euphonium, high school age on trumpet and through middle school age on other instruments. I'm a PK-8th grade music teacher. 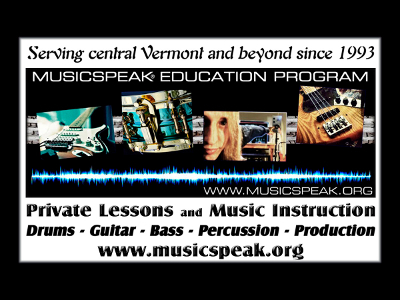 Scott teaches private lessons at his home studio in Bethel, Vermont, and at Our Savior Lutheran Church or Hanover High School, Hanover, New Hampshire. Scott was classically trained in rudimentary (snare drum) percussion and drum set from a young age by Ludwig clinician Tom Brown. 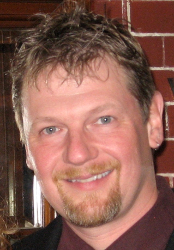 Scott studied Double Bass and Percussion and received his B.A. in Music from Johnson State College in Vermont. 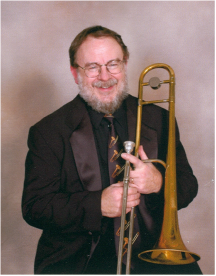 Scott has taught instrumental music programs, jazz bands, steel bands and percussion groups in area private and public schools since 1996. He has been teaching private lessons at Randolph High School, South Royalton, and Cardigan Mountain School for several years. He founded the Vermont Independent School of the Arts (now The Seven Stars Arts Center) in Sharon Vermont in 2002 and taught there for 13 years. He has directed percussion groups and steel drum workshops and residencies for such entities as The Vermont Alliance for Arts Education, The Green Mountain Suzuki Institute, and various schools from Vermont to North Carolina. Scott has played and recorded with myriad groups in various genres and on a variety of instruments, notably as leader / front man / steel pannist / bassist with the eclectic group SKABAZZA, which performed at the 1998 Phish festival "Lemonwheel" in Limestone, Maine. He founded and directed the Panhandlers: Vermont’s Largest Steel Orchestra for 13 years. He also plays lead pan in two of his own steel bands, and bass guitar with the funk and soul group Fu’Chunk!